Poster for Israel's 58th anniversary. 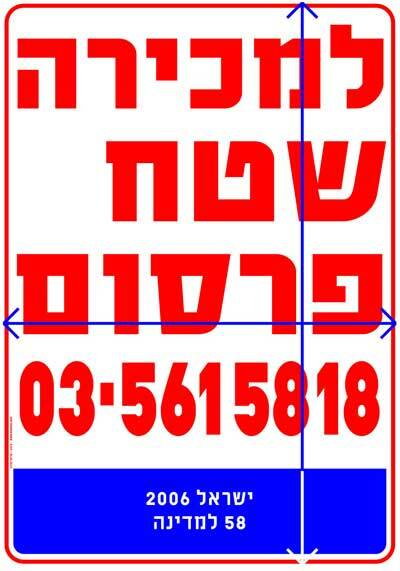 The text in Hebrew says "Advertising space for sale". It includes a phone number and text in blue "Israel 2006. 58 [years]to the state". When reaching the voice mail the message was "You have reached Elyasaf Kowner's studio. No, I am not selling space for advertising. In any case, you are welcome to leave a message".